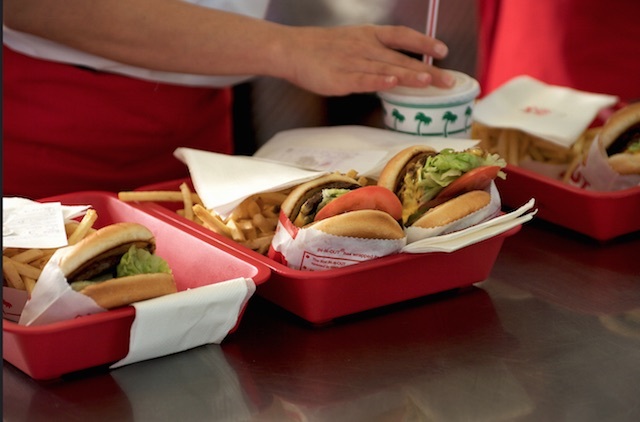 In-N-Out burger has been called addictive by fans, but one man claims he found a highly addictive and illegal drug in his meal. Fred Maldonado filed a lawsuit against In-N-Out on Wednesday in L.A. Superior Court, City News Service reports. The suit states that on March 9, 2014, Maldonado ordered a burger and a milkshake from the drive-through of a Downey In-N-Out. While eating the food in his nearby motel room, Maldnado said he began to feel ill, suffering "nausea and severe mental distress." The next morning, Maldonado said he found a napkin and two capsules stuffed in the bottom of the cup. Maldonado said he went back to the In-N-Out and informed the manager, who offered him a coupon for a free burger. Later, he had the capsules tested and the results showed that the capsules were full of methamphetamine, the suit said. Arnie Wensinger, In-N-Out&apos;s Executive Vice President, said in a statement that the company will "vigorously defend these baseless claims."